Logo design + user experience design of helpiing, a community messaging app. Mobile + Web platforms. Front-end design as well as system administration screens for CMS. 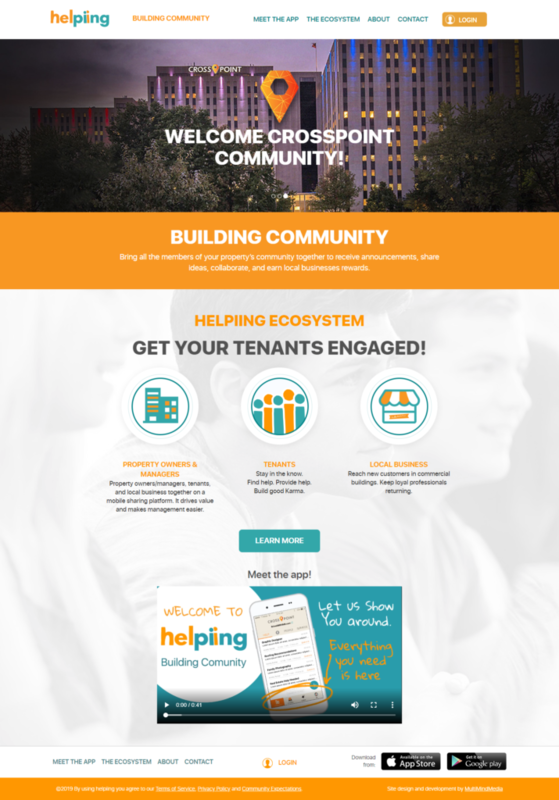 Marketing materials for user on-boarding and sponsorship outreach. 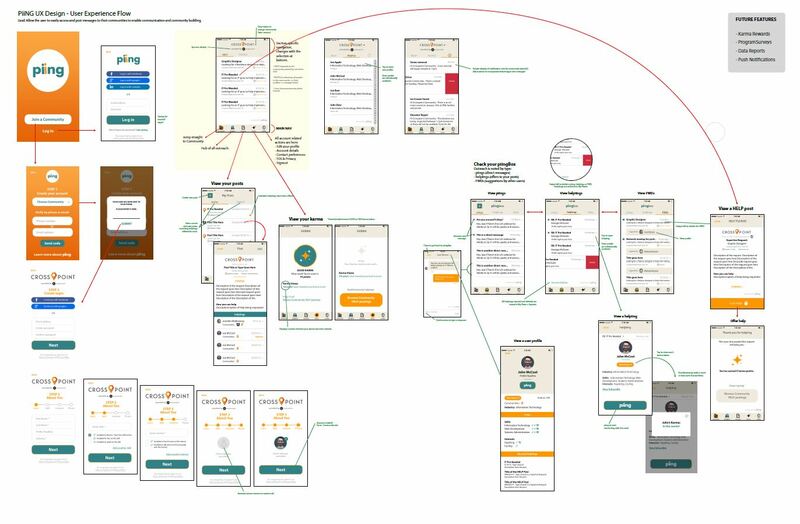 helpiing app, early wireframing for user experience design.